The Odyssey Bookshop is hosting the book launch for Ellen Meeropol's new novel this coming Tuesday in South Hadley, MA. 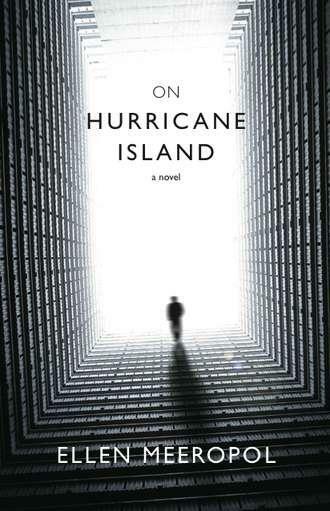 The new novel is called: On Hurricane Island. Told over the five days approaching the anniversary of 9/11, by varying voices on both extremes of the political divide, the novel is both a fast-paced political thriller and a literary examination of the sociopolitical storm facing our society. How far should government go in the name of protecting our national security? What happens when governmental powers of surveillance and extra-legal interrogation are expanded? How free are we? Ellen Meeropol is the author of one previous novel, House Arrest. A former pediatric nurse practitioner and part-time bookseller, Ellen holds an MFA in Creative Writing from the Stonecoast program at the University of Southern Maine. Legendary writer Dorothy Parker is considered one of the most celebrated and scathing wits of the twentieth century. Parker has been dead for forty-five years, but she’s on Facebook and she updates her status several times a day and has over 140,000 friends, thanks to author Ellen Meister. Meister has been captivated by Dorothy Parker’s audacious voice since her teen years and in 2013, Meister delivered Farewell, Dorothy Parker, a nuanced tale that introduced the acid-tongued Mrs. Parker to a whole new generation of admirers. Now, Meister once again re-imagines the wickedly funny Parker in Dorothy Parker Drank Here. Chilean writer, Isabel Allende, has written her first murder-mystery. Ripper takes place in San Francisco and centers on Amanda, a teen sleuth hooked on crime novels and online games. When a rash of killings strikes the city and her mother disappears, she takes it upon herself to investigate. Tim Federle was a dancer on Broadway until a few years ago. Now he’s an author who has has - so far - released 4 books. (His fifth - a picture book, is due out later this year.) Two of his books, Better Nate Than Ever! and Five, Six, Seven, Nate!, are about Nate Foster - a small-town boy with big Broadway dreams. The books are aimed at middle school theater-geeks trying to find their footing. Better Nate Than Ever! was named a New York Times Notable Book of the Year, a Publishers' Weekly Best Book of the Year, and a Slate Favorite Book of the Year. Federle's other two books are Tequila Mockingbird: Cocktails with a Literary Twist and Hickory Daiquiri Dock: Cocktails with a Nursery Rhyme Twist. The former containing instruction for boozy-bevs with names like Love in the Time of Kahlúa, Are You There, God? It’s Me, Margarita, and Vermouth the Bell Tolls; and the latter sharing shaker-ready recipes for Old MacDonald Had a Flask, Baa, Baa, Black Russian, Jack and Coke (and Jill). On Thursday, February 5th, the Campaign for the New Hudson Area Library will be hosting Federle at Café Le Perche in Hudson, NY from 6 – 8pm. The restaurant will offer a selection of Federle’s drink recipes for sale to guests and The Spotty Dog Books and Ale, will be selling Federle’s books. There will be a reading and book launch celebration at Northshire Bookstore for Saratoga Springs author Robin Antalek’s new novel, The Grown Ups. The book is an evocative coming-of-age novel involving three friends who explore what it means to be happy, what it means to grow up, and the difficulties in doing both together. Antalek is also the author of The Summer We Fell Apart. She will be at the Northshire Bookstore in Saratoga Springs at 6PM on Thursday, January 29th.